Can a video campaign to promote citizen-police relationships, reduce crime, and fix the criminal justice system lead to social and political change? That’s the goal of criminal justice expert Paul Brakke, who has been conducting a 6-month video social media campaign based on his latest book: Crime in America. To this end, Brakke has been turning chapters in the book into short videos to spread his message more widely. Additionally, he created a book featuring all of his social media campaigns for 6 months. It’s called Crime in America in a Nutshell: Highlights from Crime in America as Seen in the Social Media. He has developed this four way approach — through the videos, social media postings, book of these postings, and the original Crime in America book — to bring about criminal justice reform from a conservative perspective. Brakke considers the First Step sentencing reform bill a good beginning for the reform process, but he believes that so much more needs to be done, as described in his videos, postings, and books. The last videos in the series deal with improving citizen-police relationships based on a chapter in Crime in America. The videos feature a number of topics — the effects of protests against the police in black communities, the need for a national clearinghouse for citizen-police review reports, and the need to stop the media from sensationalizing stories that are fueling racial anger. Other recommendations in these videos are providing more police training on community awareness and removing restrictions on filming the police without inferring on police duties. A previous series of videos offered suggestions for healing the divisions in U.S. society. 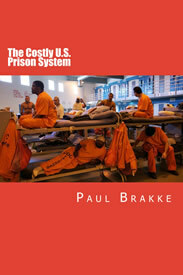 Brakke is using his book to reach out to members of Congress, criminal justice professionals, and organizations concerned with crime in order to recommend new and better ways to combat crime and create a more effective and responsive criminal justice system. The Crime in America book on which these videos are based, is a synthesis of six comprehensive books written for law enforcement professionals, academics, legislators, and social service providers. 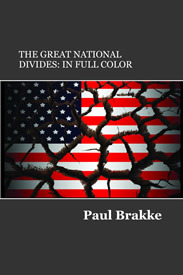 Besides writing this book for general readers, Brakke is using his book to reach out to members of Congress, criminal justice professionals, and organizations concerned with crime in order to recommend new and better ways to combat crime and create a more effective and responsive criminal justice system. Brakke’s approach to crime and criminal justice is unique, since usually liberals discuss ways to reform the system through in more of a social welfare approach. He deals with everything from making changes in the police and courts to the jails and prisons. Brakke uses Department of Justice crime statistics and comparisons with programs that have worked in different countries and U.S. cities to make his case. To learn more, you can get a free review copy of Crime in America, which is available for pre-order until January 7, when it will be published. Also, copies are available for government officials who might turn some of Brakke’s suggested ways to reduce crime and fix the criminal justice system into legislation. Members of the media are invited to request copies of the book, too. 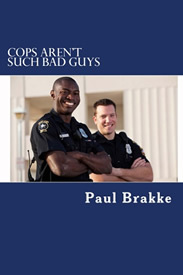 Brakke brings to this discussion of crime and police-community relations an extensive background of researching and authoring seven criminal justice books as the publisher of American Leadership Books, which specializes in this subject. Six of the books deal with what to do about crime in America and one focuses on better understanding the police. These books include: Cops Aren’t Such Bad Guys, Fixing the U.S. Criminal Justice System, The Costly U.S. Prison System, and The Great National Divides, which were written primarily for law enforcement professionals, government officials, and academics. Copies of Crime in America for review are available to the general public at no charge at crimeinamericathebook.com.